And nurture your Spirit with a Yoga and Stand Up Paddle Retreat. Get Fit, Relax, Rejuvenate and Center Yourself. Yoga on the Paddle Board!!! 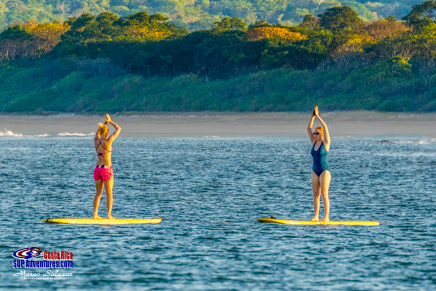 SUP and Yoga, go hand in hand, they have a natural synergy that allows for the mind - body and spirit connection to renew, cleanse and integrate in natural harmony. Many people are benefiting from this holistic approach to life in general. Our Yoga instructors can accommodate from the total beginner to the advanced student. For the more adventurous, we have the pleasure of offering Yoga lessons while on your Paddle Board. You paddle out and do the class on your board, in the Ocean!!! If you are already here and you wish to try it, we offer group and private lessons, please contact us for availability, schedule and rates. Packages include: Tamarindo Diria Beach Resort Accommodations on a Standard Room, with daily breakfast buffet (other meals are not included), airport transfers to and from Liberia (LIR) or Tamarindo (TNO) airports, all SUP equipment and transportation to the SUP venues for our daily SUP surfing or SUP Flatwater guided session with coaching, 1 optional “additional activity” from our list per person on stays of 4 or more nights instead of SUPing so you can have a break for rest and recovery, daily unlimited use of paddle boards and paddles while with us or on your own, SUP Instructor/Guide, SUP lessons, coaching and guided tours, at least 1 Photo/Video session with a Photo/Video Analysis Coaching Session for every 3 nights that you are here and more, please read on!!! Transfers from and to San Jose (SJO) airport are available at an additional fee, see Airport Information, click here. You will participate in the SUP program of your choice (SUP Surfing, Flatwater or a mix of both for Beginner, Intermediate or Advanced levels) and receive a Yoga class daily. The Yoga on the Paddleboard is available at least once for the 4 - 6 night packages and at least twice for packages of 7 nights or more. The SUP Yoga is only if you wish, if you prefer only yoga on land there's no problem. Depending on the actual group preferences we could have assorted class locations,but most classes are in a studio, for your comfort. We do not offer any SUP packages without the hotel accommodations included. If you want one of our SUP packages, you need to book it through us, do not book the accommodations separately or direct with the hotel. For services without accommodations please see our "a la carte" tours, lessons and rentals page. If you have a partner, friend or family member that does not wish to participate in the SUP activities but would like to come and enjoy a Costa Rica vacation with you, they can come at no additional charge for sharing your room and airport transfers. They also get to enjoy the awesome daily breakfast buffet at the Diria Resort. You would pay for the Single Occupancy SUP package but will be sharing a room with your companion at no additional price. Stand Up Paddling and other “additional activities” such as yoga, the zip line, ATV tours, etc. can be arranged for your companion, and you would pay for them “a la carte”. If your companion wishes to come with us to some of the other beaches that we go to for SUP surfing or Flatwater paddling, it would be subject to space availability in the vehicle and a transportation fee of $35 per trip. For more than 1 Non-SUP Companion or if you want to bring your family but you are the only SUP boarder, please contact us we have nice options for you. For the rates for reservations after December 14, 2019, please contact us. and do not include airfare. Want more or less nights or activities? **Triple Occupancy is accomplished with 2 Queen Beds and 1 Rollaway bed in a Standard Room. Upgrades to the Sunset Ocean View, the Lagoon Pool View and the Tropicana Pool View Room Categories are available. Ask us. The Tropicana Pool View Room category is an adults only area and pool, with a maximum of 2 persons per room. View Room Categories are available. Ask us. Pamper Yourself. You deserve it!!! We have partnered with Coco Beauty Spa to provide you with the body work that completes a true vacation. 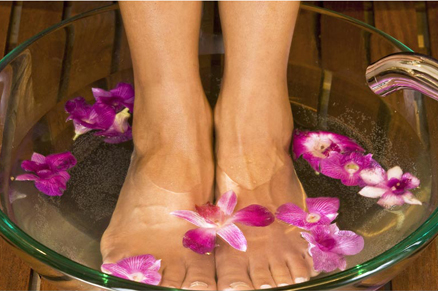 If you are one of our guests you will enjoy 10% off any of their services and treatments. You let us book them for you and as our guest you get 10% off. Because you have chosen us for your SUP Adventures, we want you to save money in any nice sports related services and activities we can help you with. This is a link to Coco Beauty Spa, so you can see their treatments, prices and make your choices. You can book through us to get your 10% discount in our Stand Up Shop located at picturesque Nogui's Restaurant in front of the ocean in downtown Tamarindo or call us for any Tours you might want to book at +506-8780-1774. 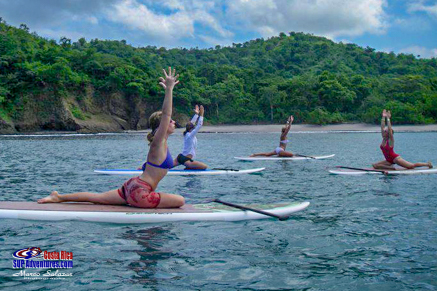 At Costa Rica Stand Up Paddle Adventures we believe in taking care of ourselves in all dimensions, Body, Mind and Spirit. A great vacation should address all these aspects of the human condition. We have energy practitioners available, for chakra awakening and tuning, Reiki, crystal, sound and color therapy; we do not include it in our packages but we want everyone to know that it is available. And for those that seek them, we have Toltec teachings and exercises, upon request. Come pamper, regenerate, rejuvenate and re-energize yourself... no one else but you can take that decision, but once you do, we can facilitate the process for you! We will help you rebalance and heal yourself!!! We absolutely love life and love Costa Rica. We want to provide you with a great natural adventure and holistic cultural experience in addition to world class Stand Up Paddling in its different forms.